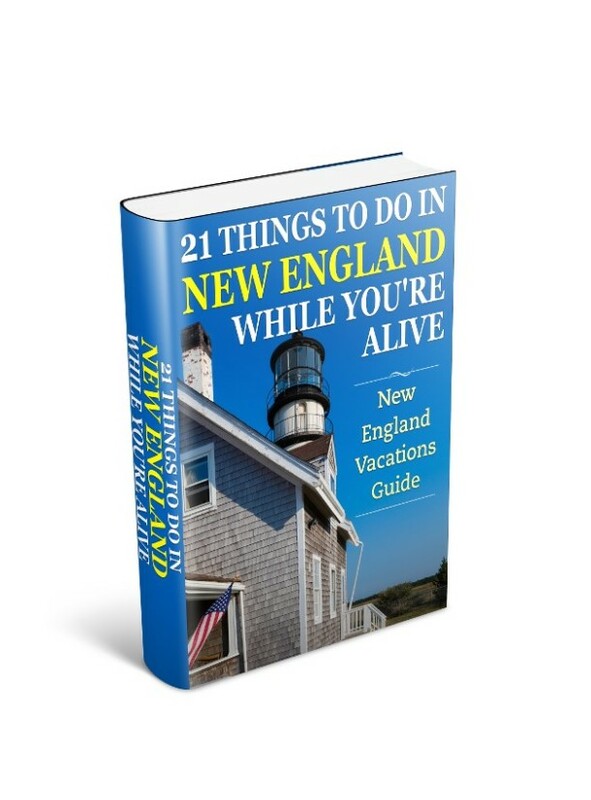 Discover which one by reading all about the New Hampshire lakes region here. With over 273 lakes in the region deciding which ones to focus on was difficult. I didn’t want to offend anybody but if I wrote something about each one, well, you’d probably get bored and never read it. So I’ve chosen to limit the number to New Hampshire lakes I’ve personally visited. Whatever lake you’re in the mood for, you’ll find one in the lakes region to compliment it. If it’s peace and tranquility on your own, you’ll find a lake away from the noise and bustle, where the only sound you can hear is nature and wildlife. If you’re looking for some lively activity, or discovery with others then that’s here as well. So explore around, and use my information as a starting point only. Spend time discovering your very own New Hampshire lakes, and when you do, be sure to share it with us. For the longest time I used to speed pass the New Hampshire lakes area on my way to the White Mountains. I always meant to spend time in this area because I love being near water. One day my family and I were invited to spend a long weekend with some friends on Lake Winnipesaukee. And… I got hooked! Many people rent a house for the summer on one of the lakes, and for a few months of the year they live another life each weekend. Not a bad idea. Okay, let’s talk specific New Hampshire lakes. Squam Lake is sixty-five miles of shoreline, thirty islands, thirteen reefs, twenty coves, and three bays. Holderness is on route 3 and is the central town on the lake. Here you can rent sailboats, canoes and kayaks for the day. Or try you hand at Bass fishing. The Squam Lake Association has Kayaking tours, which includes instruction and rental fee. If you’ve never done Kayaking before it’s a great way to learn and explore the lake as well as learning all about Kayaking. Now, if you’d like a spectacular view of the lake then consider the West Rattlesnake mountain hike. It’s the most popular hike in the Squam Mountain range. Get there from route 3 in Holderness; turn right on route 113 and go approx. 2 miles. Look for sign for Rockywold Deephaven Camps on right. Parking is ½ mile past sign on left. Rattlesnake trail is on opposite side of road. Squam lake is one of the most majestic of New Hampshire lakes. Newfound Lake is a deep and pristine lake, seven miles in length and about 21/2 miles across. To reach the area, travel route 104 from Meredith to Bristol, or route 3A from Franklin to Bristol. Newfound Lake is one of the cleanest in the country and offers boating, fishing, swimming and great beaches. If you’re ready to succumb to a serene and relaxing day then stop and purchase something to grill and some charcoal, and head out to Wellington State Park. You’ll find white sandy beaches and clear water. There are picnic tables, grilling areas and gorgeous views of Newfound Lake and the surrounding mountains. And once the tranquil peace has soothed you, and while there’s plenty of daylight, head out to the Sculptured Rocks in Groton. To reach the rock formation, take route 3A from Bristol north towards Plymouth. Turn left from route 3A at the signs for Hebron village. Once you reach Hebron, drive past the Hebron Village Store and follow signs for Sculptured Rocks and Groton. The incredible rock formations at the Sculptured Rocks area were formed during the ice age. The river flowing over and around the rocks provides a wonderful swim. But be careful: in places the river is deep. There is plenty of parking at the Sculptured Rocks area. And if the swim makes you hungry again, then finish off with another picnic or maybe even an ice cream… well I would. 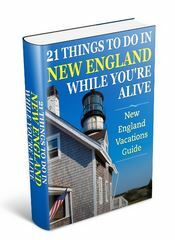 You’ll find this one of your more restful days in the New Hampshire lakes region. This 4,090-acre lake lies west of route 93 closer to the Vermont border. The area is home to Dartmouth College, one of the Ivy League school. Sunapee Lake has organized boat tours, which can be taken from the town of Sunapee on route 11. If you’d like something different, and a taste of the wealth of minerals in the New Hampshire lakes area, then travel back in time and visit Ruggles Mine, where for the entrance fee you can keep any minerals you find. The mine is at Grafton on route 4. Over 150 different minerals can found in the mine, and include: mica, feldspar, beryl, amethyst, rose/smokey quartz, garnet, and Uranium minerals (gummite, autunite) prized by collectors and museums. One of my young sons collects rocks. But judging by his backpack I think he chooses by weight rather than value. Anyway, it’s a good place to take the family. The Sunapee area also abounds in covered bridges with 2 in Andover- Keniston and Cilleyville bridges – located near routes 4/4A and 11. As you’d expect there are numerous covered bridges in the New Hampshire lakes area. I’m going to be adding a separate page soon devoted to them. Watch out for it – along with photos. Sunapee Lake itself is known as an Angler’s paradise with Salmon, lake trout, smallmouth bass, pickerel, horned pout, all there for the taking with the right bait… and skill. Yes, I do fish. Want to know how good (or badly)? Two of my sons fish as well. I just don’t understand how my nine-year old can catch fish all day, and yet when I sneak into his spot… nothing, like zippo! In December 1940, and just a few days apart, this area suffered the two largest earthquakes in recorded New Hampshire history. The magnitude of both was 5.5. Enough to damage structures such as roofs and chimneys in the area, and felt as far south as the Boston area. This 3,092-acre lake caters for the campground enthusiast and the angler. You’ll find a well-stocked supply of Rainbow trout, salmon, smallmouth bass, pickerel, horned pout. If you’ve got a boat or a canoe, then there’s a public landing dock at Pine River Marina in Center Ossipee. You’ll get magnificent views of the Ossipee Mountain range from this lake. I’ve got a whole separate page devoted to Lake Winnipesaukee, and as Winnisquam Lake is very close to Lake Winnipesaukee it’s covered there as well. You’ll learn about a very special cruise, trails, beaches, a scenic railway, and other attractions. Of course these are only a short distance from all the other New Hampshire lakes you’ve just read about as well. So only another 266 New Hampshire lakes to go… But I’m afraid you’re on your own for those. 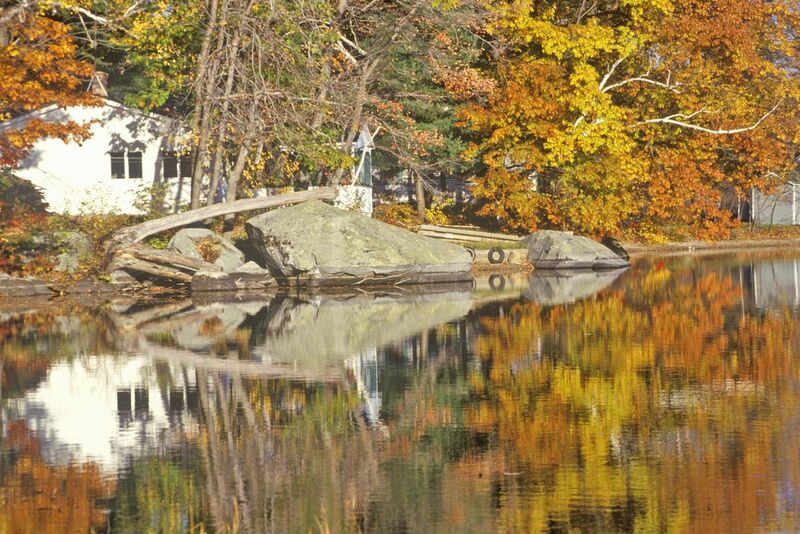 The New Hampshire Lakes Region abounds with a wide variety of accommodation to suit all budgets and preferences. To discover where to stay deals, and compare rates and amenities with a trusted and professional travel organization then use the resources below to find lodging that is best for you. For Gilford lodging and accommodations. For Sunapee lodging and accommodations. For Meredith and Weirs Beach lodging and accommodations.